Description: The Long-Legged Myotis (Myotis volans) is named for it’s long legs relative to it’s foot length. It’s fur is colored medium-dark brown. This bat’s ear’s are almost black. The approximate length of this bat is 95 mm, and the average weight is 7 grams. 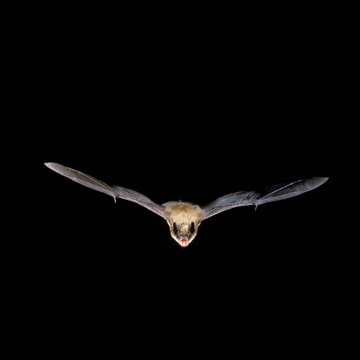 About the Long-Legged Myotis: The Long-Legged Myotis are prefer to roost in forests, including dead hollow trees, rock crevices, and buildings. They do hibernate and females give birth to one pup.